Originally founded in 1975 when two music lovers, James Birch and Lucio Proni, decided to use the first letter of both of their names to create their company, thus “JL” was born. They initially began exclusively manufacturing home speaker systems and home speaker kits, but later began manufacturing high quality vehicle audio equipment. To this day, they’ve maintained their reputation for clear, high quality sound known for its fantastic performance in speakers, subwoofers, and amplifiers. 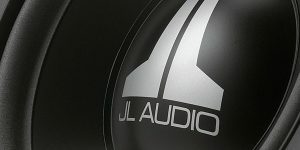 If you’re looking for some excellent car audio in Idaho Falls, Limitless Electronics provides and installs all kinds of equipment from JL Audio.